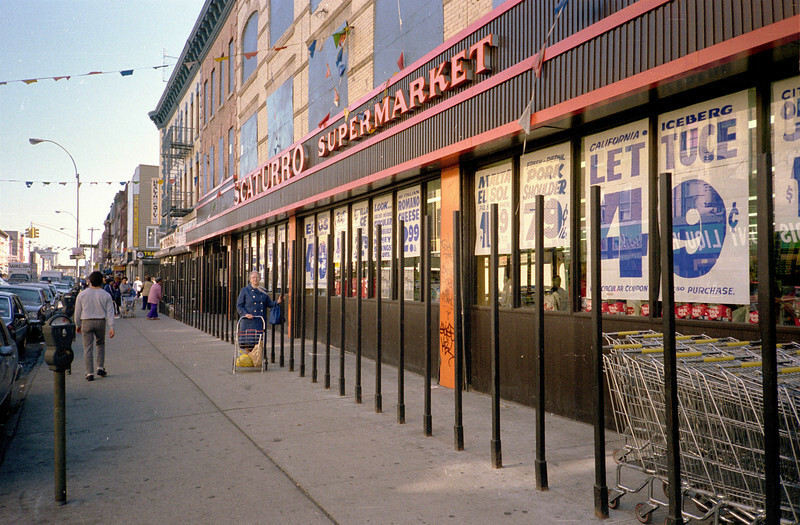 There was a Scaturro's on Knickerbocker as far back as 1955, and of course probably earlier. The bars prevent people from making off with shopping carts. I remember a time when such measures were totally unnecessary.